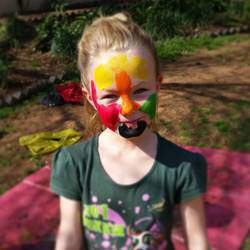 Palette and Paintbrush offer stimulating and engaging art classes that aim to be both fun and educational for the learners. 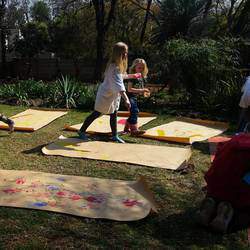 Our accredited facilitators conduct the art classes on the schools premises either during school hours or as an extramural activity after school. Each art class is designed to incorporate specific techniques and methods that enhances the abilities of the learner and improves the fine and gross motor skills as well as other life skills. The value of art classes and art therapy are often disregarded as hobbies or activities instead of the important development tool that they are. Art classes provide children with the opportunity to develop both creative abilities as well as analytical thinking. It also teaches learners entrepreneurial and creative skills. Art classes allow children to learn important life and social skills such as dealing with conflict, being tolerant as well as managing anger productively. 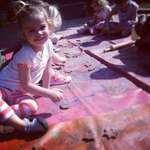 Art classes also contribute to improved concentration and development of motor skills. If you have been thinking about running your own business for a while, then this is the opportunity you have been waiting for! Benefits such as freedom and having more time for your family while making a great educational art therapy contribution are some important motivations as to why you should take the next step with a Palette and Paintbrush Art Therapy Franchise today! Grow your own business and make a profit under the guidance of the expertise and experience of the Palette and Paintbrush.